Just checking over some of the watches that have taken my fancy over the past week or two. Partly owing to the fact I had to get an old Junkers watch repaired and it went to PoinTtec in Germany for service. Which they did very successfully I have to say. However I noted at the time that they also managed a few other lines, including the Zeppelin and Maximillian brands. Now I’ve always had time for these are they are always interesting and good looking designs and most have a classic war/retro feel to them that I find quite rather comforting – must be an age thing! 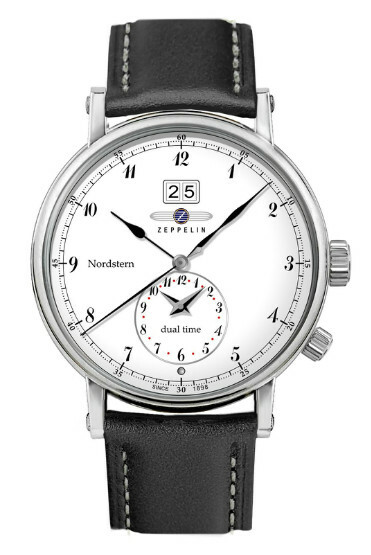 The first one that caught my eye is their new, classic Zeppelin Nordstern, which features a Big Date @12 and a Second Time Zone dub-dial @6 in a 41mm stainless steel case. Quartz movement is the well respected Swiss Ronda 6203.B and it also has a decent 10Bar Water Resistance. All in, this is a very stylish watch and certainly on my list of “possibles”. I also like the “Big Date” feature as it is easy to see at a glance. My second watch is also a new one and a slight departure from the usual classical lines, but a little more “ground” military inspired perhaps and geared for low light situations. 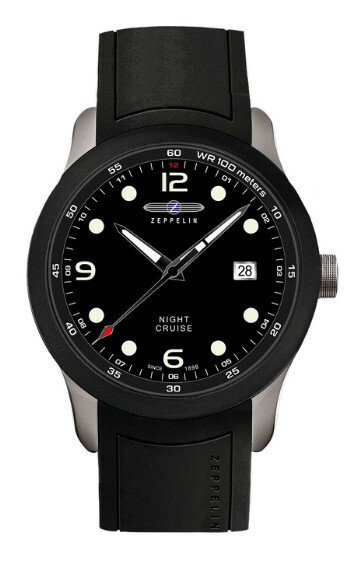 Called the Night Cruise model 7240.2 it has a black case and black dial, luminous hour and minute hands and a nice red tipped center seconds hand with big round white against black markers. 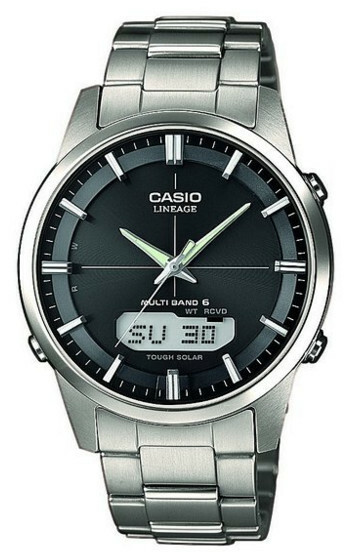 This model features a rubber strap with a standard and clearly defined Date window @3. There is another similar model featuring a bracelet, I understand. The case is 41mm diameter. Note the luminous markers shine Blue for night sighting and this model features another Swiss Ronda Quartz movement, the Ronda 515. Water Resistance 10Bar. 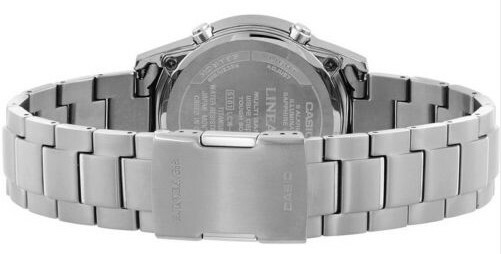 I particularly like (my personal taste of course) the fact that this model does not sport a divers bezel idea, which for me make it look rather more elegant. Both models are approximately £170 (UK priced) which is pretty decent value for a couple of neatly designed models that really look the part in my opinion. 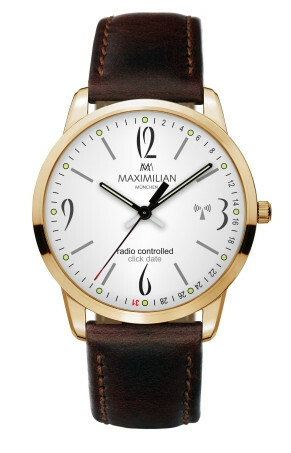 And the third model I’ve selected here is from Maximillian, the 5332-1 “Click Date” which is a Radio Controlled model with this rather neat Click Date feature. Allows the dial to be quite uncluttered but shows the Date quite neatly, when required. Featuring this time the German produced Cal.42-24 RC movement. The dot markers are in Green Luminous material, the case is Gold Ion plated. The watch is neat at only 39mm diameter and the Water Resistance 5ATM. Obviously this is more a dress watch, hence the missing macho features, but a very smart and unusual watch it is. The Date indication is accessed by pressing the crown, which moves the Second Hand which then acts as a pointer to the outer track date numbers on the right segment of the dial. I suppose your eyesight has to be good to read the small date numerals, but it is a dress watch and probably no more difficult than many a retro chronograph with date sub-dials. However as style is more the essence of this watch it’s hardly an issue and perhaps it’s just me, as I definitely need glasses these days! But that said this is yet another model I might very well seriously consider – maybe for my next birthday? I might be getting on these days, but I never say no to a little elegance!